Rwanda men’s senior football team arrived safely in Addis Ababa ahead of Sunday’s first leg of the 2018 Africa Nations Championship (CHAN 2018) play-off qualifier against Ethiopia. The 30-man team jetted in at Addis Ababa international stadium on Friday night at 19:55 before heading to th Intercontinental Hotel situated in the heart of Addis Ababa. The Amavubi team is scheduled to train today afternoon (Saturday) at Addis Ababa Stadium at 16:00 as coach Antoine Hey holds a final session ahead of Sunday’s game. Rwanda is vying for the 16th place at the final tournament of the Total Africa Nations Championship, scheduled for Morocco from January 12 to February 4, 2018. 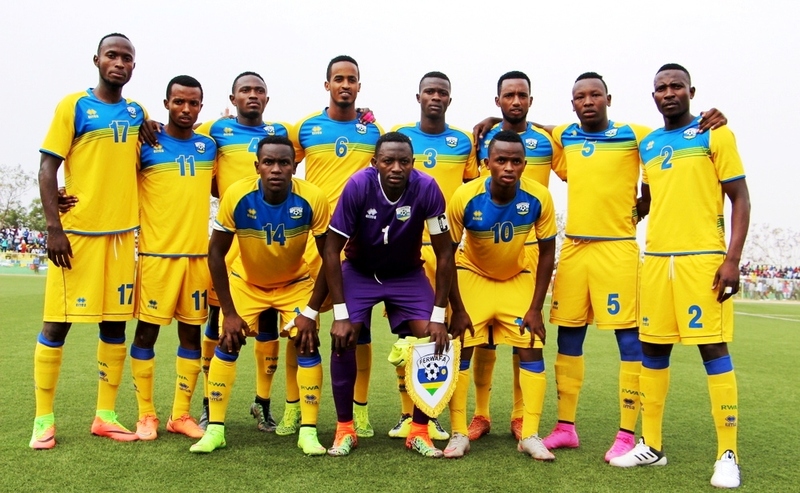 Both Rwanda and Ethiopia have the chance to qualify after Egypt pulled out of the tournament before the Confederation of African Football (CAF) gave Zone 5 another slot. The winner over the two legs joins Uganda and Sudan among other CECAFA teams that have already qualified for the tournament. The final tournament will be played in Morocco between January and February 2018. Forwards: Nshuti Innocent (APR Fc), Mico Justin (Police Fc), Biramahire Abeddy (Police) and Manishimwe Djabel (Rayon Sports Fc).